@Taykox @Apache_ Not only that, it's off topic ..
- Player and global variables can now be added/subtracted from other player and global variables in the event editor! A feature I'd love to see is the ability to subtract health from players with Events for traps or if you want to slowly kill the player if they get too drunk in game. I am loving the features being added so far though! Guys this is a dev blog not your wishlist to Santa. There's a section for suggestions, go use it please. Hey @Kibbelz, got a question for ya. When using an event spell now, can you still set it as a projectile? Yes and other spell types. Same as a combat spell just can do damage too. Added the option to set event switches and variables for all members of a party when interacting with events (for party related dungeons mostly). 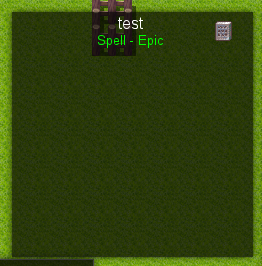 Added the ability to quick cast spells from items without learning the spell. Does the check equipment have the ability to remove the item equipped? Or is it just a check condition? Be good to have the ability to remove an item from equipment slots to be used with paper doll and transformations, as if you have paperdoll graphics and a transformation spell to a different sprite such as a wolf, then the paperoll will no longer align. I know this isn't meant to for suggestion thread. But I entirely agree. I don't remember the details, but I recall the transformation combined with paperdolling had much to desire. Also I believe there was no way to cancel spells which was a huge bummer.